Numero Uno Web Solutions (www.NumeroUnoWeb.com), a fast-growing Internet marketing firm that caters to medium- and large-sized business-to-business (B2B) and business-to-consumer (B2C) companies, is weighing in on a recent survey showing Canadian retailers are under increased pressure to pursue web sales or risk losing customers to established brands with an e-commerce presence. There are costs associated with developing, operating, and maintaining an online presence; costs that Libarian explains most brick-and-mortar retailers probably didn’t plan on when they first started their business. One of the biggest challenges, affecting 95% of those surveyed, is figuring out how to efficiently deal with e-commerce returns. Retailers are also worried about their outdated and inadequate information and supply chain systems. An effective online marketing company should provide customers with everything it needs to succeed under one roof. 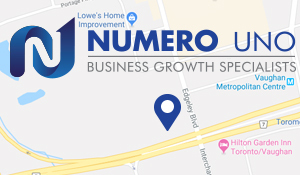 In addition to providing online marketing, web design, and development services, Numero Uno Web Solutions also provides comprehensive warehousing, logistics and supply chain solutions and contact center solutions, including customer service, sales, and retention.